The Experimental Aircraft Association, CSRA EAA 172, Augusta, Georgia, has several members and associates who have their own private airstrips or regularly use private airstrips. 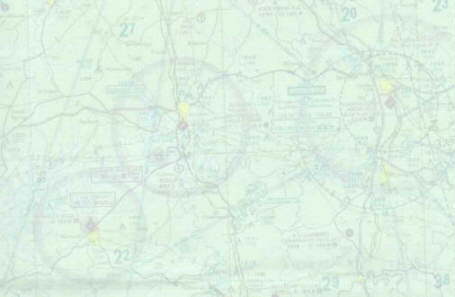 In most cases the airstrips have FAA issued identifiers. In some cases it's just a pasture used occasionally as an airstrip on the owner's property. Regarding those airstrips with FAA issued identifiers, the FAA information legally is in the public domain (in other words, not private, copyrighted, or secret!). That public information is what is in the listings below that have identifiers. Reference: FAA FAQs "All digital products published by the FAA are in the public domain and not copyright protected." NOTE: In ALL cases you must contact the airstrip owners before landing on their airstrips. In many cases the airstrip is also a pasture. There may be cattle or horses that usually use the land. You, and the airstrip owner, would definitely be distressed and angered if you killed a prize thoroughbred horse worth a quarter million dollars. You, because you might wreck your plane or be seriously injured or possibly killed. They, because they lost a prize horse (though most likely they would also be upset about your injury or death!). Note that your liability insurance may not cover the damages you inflict and so you would be personally responsible for the rest of the damages. You may also have a criminal charge of trespass to handle. NOTES: Prior permission required for non-emergency operations. LAND AT YOUR OWN RISK! NOTES:Land coming in over the pond on runway 17, NO MATTER WHAT THE WIND DIRECTION IS! The runway is grass, 2000 feet long, and is 75 feet wide but has an open space of 100 feet on each side of the runway. The airstrip, starting at the pond edge, has a gradual incline for about 500 feet, then tapers off to a slight incline to the opposite end. After landing, taxi back down the runway to the pond. LAND AT YOUR OWN RISK! NOTES: Landings will be: Uphill, to the East, Takeoffs, downhill to the West NO EXCEPTIONS. Bob said to FLY THE PATTERN so you can come in at the appropriate speed.. LAND AT YOUR OWN RISK! OBSTRUCTIONS: Deer & livestock in vicinity. Trees and higher terrain 800' short of threshold of runway 10. 302 FT ANTENNA 2 NM WEST & 290 FT ANTENNA 2.7 NM SOUTH OF AIRPORT. NOTES: Prior permission required for non-emergency operations due to equestrian activities in vicinity. In any case, LAND AT YOUR OWN RISK! Also, horses usually aren't ridden on the runway itself, so it is clear of horse droppings!